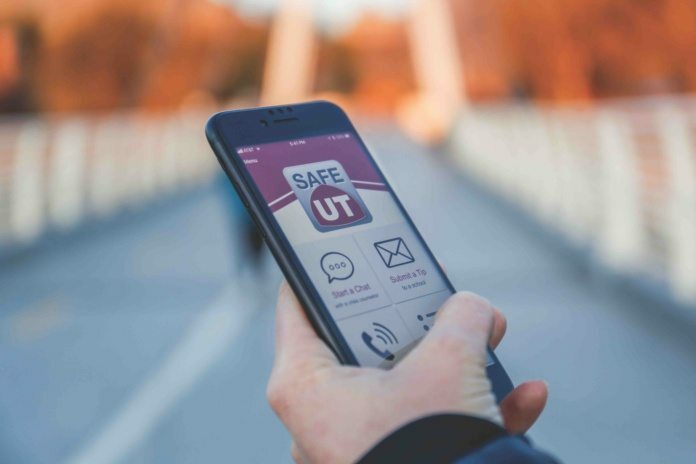 The University of Utah is making an effort to improve mental health and wellness at the school by launching access to the SafeUT app for students. The University Neuropsychiatric Institute (UNI) developed the SafeUT Crisis Text and Tip Line as a statewide service that initially provided crisis intervention to high school students through text message and a confidential tip program. The SafeUT program was launched with funding from the Utah State Legislature in conjunction with UNI, the State Office of Education, the Utah Office of the Attorney General and the Utah Anti-Bullying Coalition. The first phase of the program’s implementation in schools began on Jan. 20, 2016, in just a few locations, and because of its success, more schools are implementing the program. “We can help anyone with emotional crises, bullying, relationship problems, mental health or suicide related issues,” UNI wrote about the app on its website. All features of the app are confidential and password protected. SafeUT is trying to tackle a wide range of issues, including depression, anxiety, mental health struggles, suicide, loss and grief, bullying, cyberbullying, drug and alcohol problems, self-harm, relationship difficulties and any other life challenge. The therapists working through the app are aiming to to give students the support they need to succeed. “I see this as another tool for students to use for themselves or their friends who may need immediate assistance, one that can be at their fingertips and utilizing texting that may be a familiar, comfortable mode of communication,” said Dean of Students Lori McDonald. Mental health is a huge concern among college students. According to the American Psychological Association, anxiety is the biggest problem, affecting 41.6 percent of college students. Depression is next at 36.4 percent and relationship issues are at 35.8 percent. Overall, Utah has one of the highest suicide rates in the country. According to a study done by the Centers for Disease Control and Prevention, suicide deaths among Utah children ages 10 to 17 went up by more than 140 percent between 2011 and 2015, compared to a 23.5 percent increase nationally in that age group. SafeUT is looking to battle these problems. The app comes with three basic functions: chat, tip and call. The chat function opens a two way communication with a counselor. Students can submit confidential tips to school administrators regarding bullying, threats or violence. Users have the option to submit tips via words and pictures. One of the most critical features is the ability to call a counselor 24/7. Students can make calls about themselves or someone else. The services available through the app are free to all students and the app is compatible with Apple and Android devices.